BLACK SABBATH, DREAM THEATER, ANTHRAX, VOLBEAT and KILLSWITCH ENGAGE are among the nominees for the 56th annual Grammy Awards, which will be held on January 26, 2014 at Staples Center in Los Angeles. DREAM THEATER - "The Enemy Inside"
KILLSWITCH ENGAGE - "In Due Time"
Track from: "Disarm The Descent"
VOLBEAT feat. King Diamond - "Room 24"
Track from: "Outlaw Gentlemen & Shady Ladies"
BLACK SABBATH's "God Is Dead?" also picked up a nomination in the "Best Rock Song" category. In addition, the band's comeback CD, "13", earned a nod for "Best Rock Album", alongside LED ZEPPELIN's "Celebration Day" and QUEENS OF THE STONE AGE's "…Like Clockwork", among others. METALLICA's "Through The Never" received a nomination for "Best Recording Package" and ALICE IN CHAINS' "The Devil Put Dinosaurs Here" is up for the "Best Engineered Album, Non-Classical" award. Nominations for the 56th annual Grammy Awards were announced tonight by The Recording Academy and reflected an eclectic mix of the best and brightest in music over the past year, as determined by the voting members of The Academy. For the sixth year, nominations for the annual Grammy Awards were announced on primetime television as part of "The Grammy Nominations Concert Live! — Countdown To Music's Biggest Night", a one-hour CBS entertainment special broadcast live from Nokia Theatre L.A. Live. "This year's nominations reflect the talented community of music makers who represent some of the highest levels of excellence and artistry of the year in their respective fields," said Neil Portnow, President/CEO of The Recording Academy, in a statement. This year's Grammy Awards process registered more than 22,000 submissions over a 12-month eligibility period (October 1, 2012 - September 30, 2013). Grammy ballots for the final round of voting will be mailed on December 11 to the voting members of The Recording Academy. They are due back to the accounting firm of Deloitte by January 8, 2014, when they will be tabulated and the results kept secret until the 56th Grammy telecast. 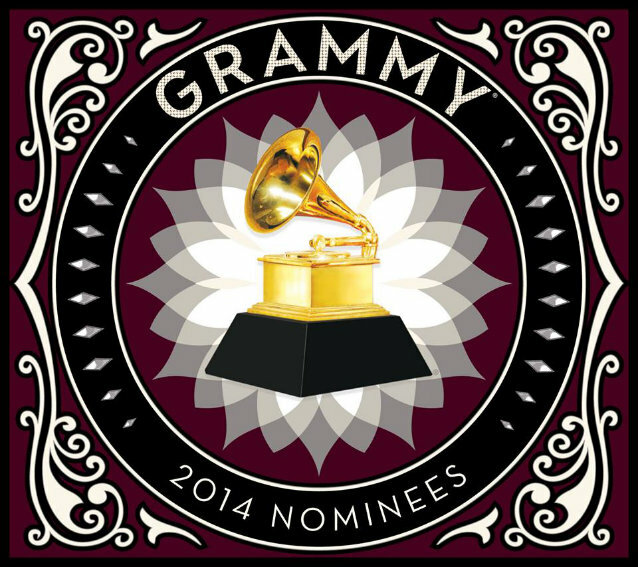 The 56th annual Grammy Awards are produced by AEG Ehrlich Ventures for The Recording Academy. Ken Ehrlich is executive producer, and Louis J. Horvitz is director. The Grammy Awards will air live on CBS on Sunday, January 26 at 8 p.m. ET/PT.